Baupanel® system: quality, sustainability and fast track construction to face the challenges of the 21st century in the building industry. 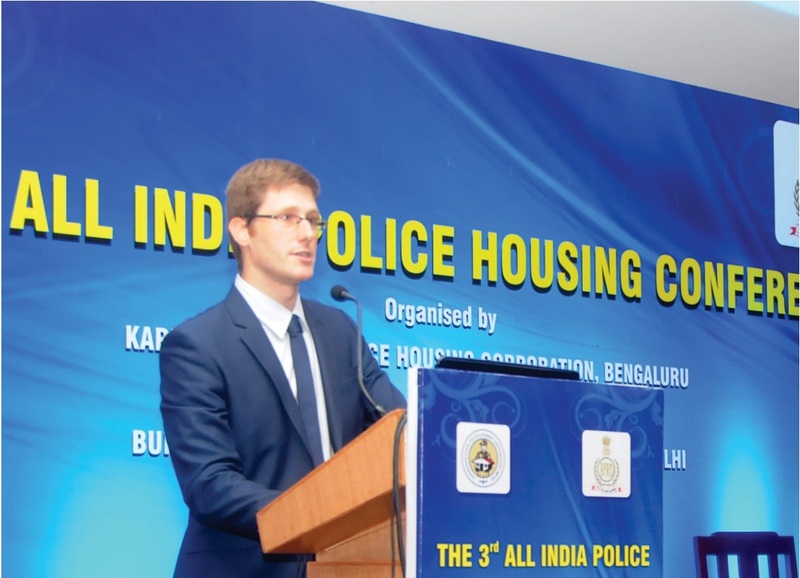 The traditional building has been used for the primary purpose of providing protection and security to the people against the weather for decades, not taking into account the impact on the environment of the resources used in the construction process or the use of the building in its lifetime. The awareness of the construction industry is tending to a change in recent decades, being conscious of the need to be efficient in the use of material and energy resources as a basis for sustainable construction, investing now to get huge profits medium and long term. Quality, sustainability and fast track construction are the keys to face the challenges of the 21st century. Baupanel® system delivers an improved building solution that substantially reduces direct and indirect construction costs, optimizes the construction resources getting a fast track construction whilst at the same time being ecofriendly basically reducing the amount of cement used in the construction, minimizing the wastage in the construction process and increasing the efficiency in the energy used in the life span of the building due to the use of thermal insulated structural elements with Expanded Polystyrene which is biologically inert, non toxic and stable, being Baupanel® 100% recycled and, whilst being lightweight, maintains the high load resistance of traditional building methods. The Baupanel® building solution is based on a set of structural panels made up of expanded polystyrene (EPS) with a basic frame attached to the side of the panels. The frame consists of highly resistant steel mesh and corrugated bars linked together with electrically-welded steel connectors. It is a versatile building method and it can be adapted with other traditional and non traditional building methods. The panels are installed on site according to the layout of the walls, partitions and framework of the project and they are finished on site by applying micro-concrete through a mechanism known as pneumatic discharge (shortcrete). The panels constitute the structural elements of the vertical and horizontal fixings of a building. The structural systems as well as the thermal acoustic insulation properties are designed to meet the building standards of the country where the construction takes place. Currently, the building and construction industry is responsible for consuming 40% of the energy produced all over the world. This sector also creates 25% of the worldwide waste. Baupanel®, whose main component is expanded polystyrene (EPS), is an efficient and effective thermal insulating material that can make an important contribution to the reduction of carbon emissions into the atmosphere. In order to make it, no CFCs or HCFCs are used as foaming agents and therefore, EPS does not cause any damage to the ozone layer. Baupanel® system means a real advantage for end users as well as for building companies, as it provides many benefits compared to traditional building methods, using a construction methodology that reduced the direct and indirect costs. Undoubtedly, having one element fulfilling two tasks at the same time (a high-resistance wall and thermo-acoustic insulation) is an innovative money saving approach. Thanks to the panel’s light-weight qualities they are easy to move, transport and install. The panel’s light-weight construction is strengthened once the micro-concrete has been applied, ensuring the baupanel® structure’s strength and integrity. The weight per sqm of the panel before the application of the micro-concrete or mortar depends on the panel type, and ranges from 3.5 kg/m2 to 5 kg/m2. This makes it possible for just one worker to easily move more than 3 sqm of panel. It is possible to directly apply a coating on the micro-concrete or, alternatively, on the shell and core buildings. Traditional paints can be used directly on the panel once it is plastered. You can apply any finish such as single coat mortar, acrylic mortar, stone sheeting, exposed brick, tiles, etc. In the same way, the inside walls can be finished with plaster or perlite coating, cardboard-plaster sheeting, tiling, etc. Loads in buildings are distributed across many lineal elements (load bearing walls), whilst the work tension of the concrete is much lower than the maximum allowed for this material. 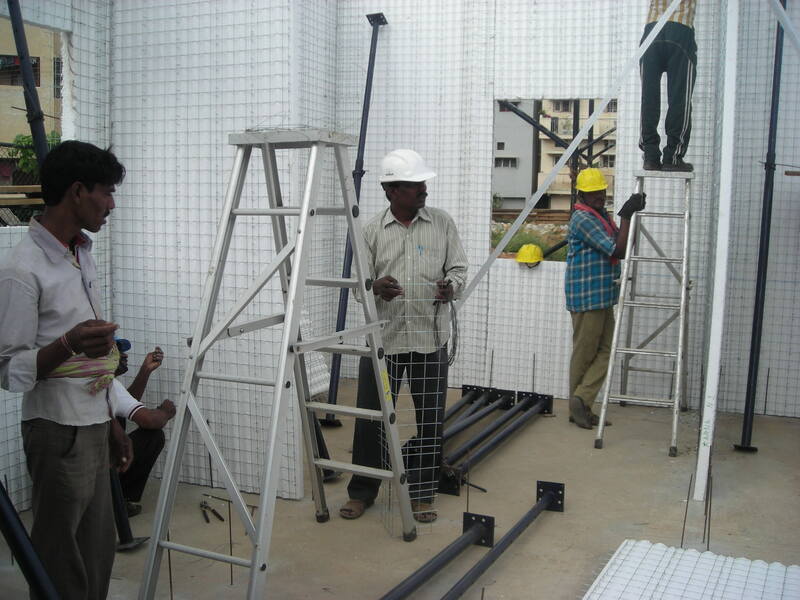 The thermal insulated coefficient of a Baupanel® building can be designed according to the project specifications. The K value of the total thermal resistance of a Baupanel® composed of a 4cm thick EPS (15 kg/m3) density with a 3cm thick micro-concrete on both sides by a total thick of 10cm is 0.78 W/sqm ºK. If the wall is made with a panel 8cm thick expanded polystyrene (15 kg/m3 density) the K thermal transmission is 0.49 W/sqm ºK. This translates into an energy saving of nearly 40%, both for heating and cooling cycles. The range of simple panels, with a 3.5cm concrete thickness on each side have an average acoustic insulation of 43.50 dBA. The EPS used for making the panels is the Euroclass E type (self-extinguishing and it avoids the propagation of flames). Fireproof tests carried out on sheets made with BPR80 panel have proved a resistance of more than 240 minutes. Baupanel® system is the only technology which streamlines the implementation of effectiveness and efficiency at the same time. By using normal and well known materials (reinforced concrete to withstand force and expanded polystyrene to provide thermo-acoustic insulation), utilised in such way that their properties are enhanced, satisfying all the building requirements that must be fulfilled, especially in the case of housing. In this regard, it is worth mentioning that the main and fundamental requirement to be met by a construction destined for housing is the thermal insulation, the essential reason of its very existence. And it is a result of the fulfillment of that particular condition that arises the need to satisfy other requirements, such as mechanical resistance, structural capacity, ease of implementation, the rational use of resources, architectural flexibility, fire resistance, good sound absorption; although each one has its importance, none of them reach that of the thermal insulation, and illustrates in this aspect the fact that if a house were to meet all the “secondary” requirements but had poor thermal insulation, such housing would be unsatisfactory for its occupants, regardless of the full compliance with all the other aspects. This significantly affects the habitability of housing conditions and helps lower the cost of thermal conditioning, even in extreme conditions. This virtue has been testified through a myriad of constructions in the most diverse countries, with harsh weather conditions (Equatorial Africa, Antarctica or Siberia). Associated with the high thermal insulation property mentioned can be found the advantageous total absence of thermal bridges due to the total continuity of the expanded polystyrene in the whole outer surface of the dwelling. This is the point where the degree of industrialization reached by the system predominantly influences the implementation of civil works. And it must be pointed out that even the most conservative and traditional systems, whose methods for various reasons we have grown accustomed to, also have their own degree of industrialization, aimed at optimizing the utilization of resources during execution. It is therefore clearly rational to subject the Baupanel® system to critical judgement in light of the concepts that have sustained the use of the systems until now called traditional, this analysis not necessarily only being theoretical, but predominantly practical, since the number of constructions made in the entire world more than justifies such an attitude: in all the places in which it was used, it satisfied all the requirements, resulting in a better alternative for the implementation of housing, either from an economic or technical point of view. The reduction of total costs that provoke the use of Baupanel® technology in place of traditional construction systems is clearly calculable by comparing direct costs of labour and materials. 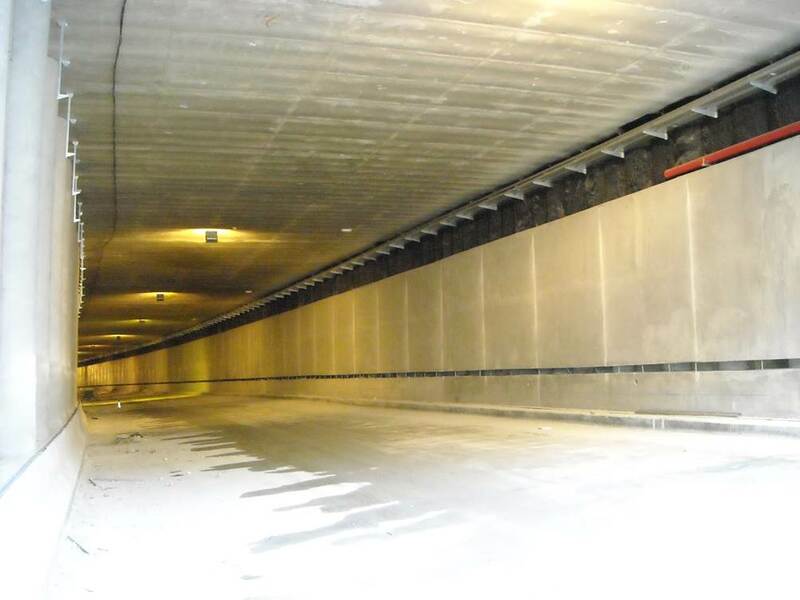 The reduction of grey work (foundations-structure-vertical enclosures-coverings- pipe works) leads to reduction in administrative costs lead time allows a reduction in administrative costs, energy for the movement of equipment, salaries of foremen, site managers and supervisors, depreciation of machinery, scaffolding, repairs, vans and cars for inspection and site managers, as well as financial expenses costs, financing and service interests. This reduction in period of grey work that is closely related to the possible higher speed execution normally reaches 50%. In this way and considering that the grey work represents between 40 and 50% of the total work period, it would be possible to reduce the duration of the works by approximately 22%. If we consider that a construction company has general weighted expenditure of 15% of the sum of materials and labour, the application of the Baupanel® system will enable it to be reduced to 11.70%. Understood as the provision of labour and materials to cover the channels made in the walls by the installation of pipe works (electricity, water and gas) its participation in the reduction of total costs can be perfectly determined. By way of illustration, for a unit of 60 m2 a daily 1 worker and 1 helper are required to cover up all the channels; this leads in a reduction in costs of 1.40 %. This item has a particular importance given that the system has a single wet stage which is the application of the micro-concrete cement, while the elevation of walls is dry and with manipulation of clean elements that do not produce debris. In addition, during the installation stage, there is no opening of channels and therefore there is no generation of debris with the consequent need of their collection and subsequent removal. The volume of debris that is produced with a building made with factory bricks is normally 0.12 m3 per sqm covered, and the manpower that must be employed in cleaning and hauling is 3 hour-labour per m3. K = 1.90 W/sqm ºK and interior walls of 12 cm in total thickness, compared to Baupanel® outer walls of 15 cm of total thickness with K = 0.39 W/sqm ºK and 10 cm thick interior walls. In this case, with equal useful floor area, a construction made with Baupanel® presents a decrease of total surface area equal to 5.74%. Summing up the points listed above we obtain the indirect saving that, in addition to the reduction of direct costs, can be considered to exceed 15% and it is the reason why, Baupanel® technology can also be used in lieu of the traditional building systems in those countries where the cost of labor is very low. This aspect, although secondary, gains importance in some housing categories in that the architectural variables play a predominant role. This is so given that the functional needs as regards the daily habitability of the house are more variable with the habits, family composition and other characteristics of each customer. For these reasons it should be considered as a genuine and important virtue the possibility of providing a constructive system for a wide range of architectural styles, as in the case of Baupanel®, whose possibilities in this regard are virtually unlimited, as well as simple. 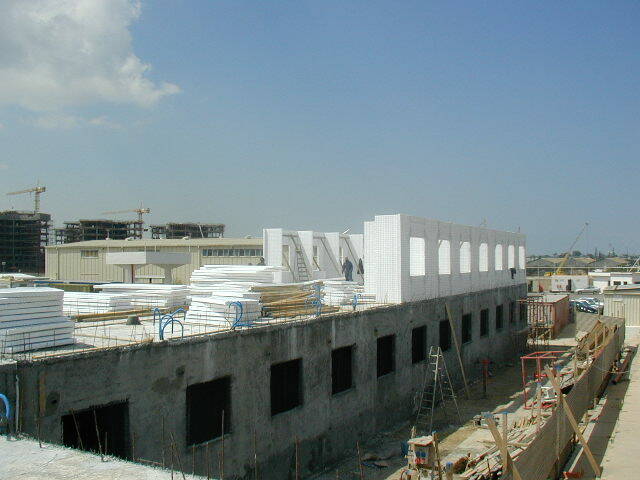 Constructions with Baupanel®, once finished, require significantly less maintenance than usual. This is because it has a superior water-resistant insulating capacity resulting in longer duration of plasters and paints. It also helps towards greater mechanical resistance, which implies the absence of cracks in buildings. As regards to the adaptability to combining it with other building systems, experience has shown that its capacity is not only wide but easy to implement, adapting to the more rational solutions for any type of join and combinations. The constructive system is open. That is to say that it can combine or integrate with all other types of traditional or non-traditional building systems.